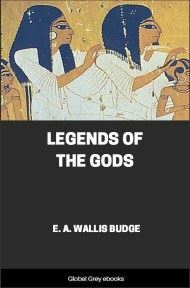 The premise of this book is that the Ancient Greeks stole information (i.e, their entire philosophy) from the Ancient Egyptians and passed it off as their own. 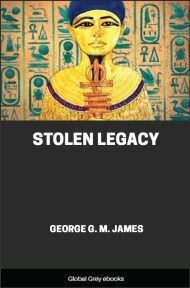 James backs this up with classical and esoteric authorities, making some bold claims as he goes along, such as the fact that Alexander the Great and Aristotle plundered hundreds of books from the Great Library of Alexandria, which were later attributed to Aristotle. Lots of notes (N.B) inbetween as well as a lot of nested sub paragraphs. The term Greek philosophy, to begin with is a misnomer, for there is no such philosophy in existence. 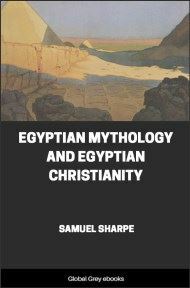 The ancient Egyptians had developed a very complex religious system, called the Mysteries, which was also the first system of salvation. As such, it regarded the human body as a prison house of the soul, which could be liberated from its bodily impediments, through the disciplines of the Arts and Sciences, and advanced from the level of a mortal to that of a God. This was the notion of the summum bonum or greatest good, to which all men must aspire, and it also became the basis of all ethical concepts. The Egyptian Mystery System was also a Secret Order, and membership was gained by initiation and a pledge to secrecy. 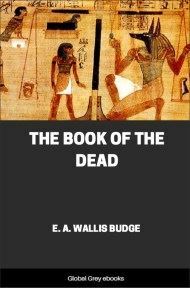 The teaching was graded and delivered orally to the Neophyte; and under these circumstances of secrecy, the Egyptians developed secret systems of writing and teaching, and forbade their Initiates from writing what they had learnt. After nearly five thousand years of prohibition against the Greeks, they were permitted to enter Egypt for the purpose of their education. First through the Persian invasion and secondly through the invasion of Alexander the Great. From the sixth century B.C. therefore to the death of Aristotle (322 B.C.) the Greeks made the best of their chance to learn all they could about Egyptian culture; most students received instructions directly from the Egyptian Priests, but after the invasion by Alexander the Great, the Royal temples and libraries were plundered and pillaged, and Aristotle's school converted the library at Alexandria into a research centre. There is no wonder then, that the production of the unusually large number of books ascribed to Aristotle has proved a physical impossibility, for any single man within a life time. The history of Aristotle's life, has done him far more harm than good, since it carefully avoids any statement relating to his visit to Egypt, either on his own account or in company with Alexander the Great, when he invaded Egypt. This silence of history at once throws doubt upon the life and achievements of Aristotle. He is said to have spent twenty years under the tutorship of Plato, who is regarded as a Philosopher, yet he graduated as the greatest of Scientists of Antiquity. Two questions might be asked (a) How could Plato teach Aristotle what he himself did not know? (b) Why should Aristotle spend twenty years under a teacher from whom he could learn nothing? This bit of history sounds incredible. Again, in order to avoid suspicion over the extraordinary number of books ascribed to Aristotle, history tells us that Alexander the Great, gave him a large sum of money to get the books. Here again the history sounds incredible, and three statements must here be made. (a) In order to purchase books on science, they must have been in circulation so as to enable Aristotle to secure them. (b) If the books were in circulation before Aristotle purchased them, and since he is not supposed to have visited Egypt at all, then the books in question must have been circulated among Greek philosophers. (c) If circulated among Greek philosophers, then we would expect the subject matter of such books to have been known before Aristotle's time, and consequently he could not be credited either with producing them or introducing new ideas of science. Another point of considerable interest to be accounted for was the attitude of the Athenian government towards this so-called Greek philosophy, which it regarded as foreign in origin and treated it accordingly. Only a brief study of history is necessary to show that Greek philosophers were undesirable citizens, who throughout the period of their investigations were victims of relentless persecution, at the hands of the Athenian government. Anaxagoras was imprisoned and exiled; Socrates was executed; Plato was sold into slavery and Aristotle was indicted and exiled; while the earliest of them all, Pythagoras, was expelled from Croton in Italy. Can we imagine the Greeks making such an about turn, as to claim the very teachings which they had at first persecuted and openly rejected? 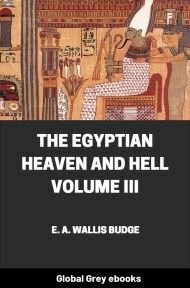 Certainly, they knew they were usurping what they had never produced, and as we enter step by step into our study the greater do we discover evidence which leads us to the conclusion that Greek philosophers were not the authors of Greek philosophy, but the Egyptian Priests and Hierophants. Aristotle died in 322 B.C. not many years after he had been aided by Alexander the Great to secure the largest quantity of scientific books from the Royal Libraries and Temples of Egypt. In spite however of such great intellectual treasure, the death of Aristotle marked the death of philosophy among the Greeks, who did not seem to possess the natural ability to advance these sciences. 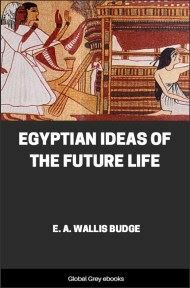 Consequently history informs us that the Greeks were forced to make a study of Ethics, which they also borrowed from the Egyptian "Summum Bonum" or greatest good. The two other Athenian Philosophers must be mentioned here, I mean Socrates and Plato; who also became famous in history as philosophers and great thinkers. Every school boy believes that when he hears or reads the command "know thyself", he is hearing or reading words which were uttered by Socrates. But the truth is that the Egyptian temples carried inscriptions on the outside addressed to Neophytes and among them was the injunction "know thyself". Socrates copied these words from the Egyptian Temples, and was not the author. All mystery temples, inside and outside of Egypt carried such inscriptions, just like the weekly bulletins of our modern Churches.